The film is based on the 1922 novel Captain Blood by Rafael Sabatini, with a screenplay by Casey Robinson, and concerns an enslaved doctor and his fellow prisoners who escape their cruel island imprisonment and become pirates in the West Indies. An earlier 1924 silent film version of Captain Blood starred J. Warren Kerrigan as Peter Blood, the physician-turned-pirate in this Vitagraph production. Warner Bros. Pictures took a serious risk in pairing two relatively unknown performers in the lead roles. Flynn's performance made him a major Hollywood star and established him as the natural successor to Douglas Fairbanks, Sr. and a "symbol of an unvanquished man" during the Depression. Captain Blood also established de Havilland, in just her fourth screen appearance, as a major star and was the first of eight films co-starring Flynn and de Havilland; in 1938 the two would be re-united with Rathbone in The Adventures of Robin Hood. The same year, Basil Rathbone also starred with Flynn in The Dawn Patrol (1938). In 1962 Flynn's son Sean starred in The Son of Captain Blood. In 17th-century England, Irish doctor Peter Blood (Errol Flynn) is summoned to aid Lord Gildoy, a wounded patron who participated in the Monmouth Rebellion. Arrested while performing his duties as a physician, he is convicted of treason against King James II and sentenced to death by the infamous Judge Jeffreys. By the whim of the king, who sees an opportunity for profit, Blood and the surviving rebels are transported to the West Indies to be sold into slavery. In Port Royal, Blood is purchased by Arabella Bishop (Olivia de Havilland), the beautiful niece of local military commander Colonel Bishop (Lionel Atwill). Attracted by Blood's rebellious nature, Arabella does her best to improve his situation by recommending him as the personal physician of the colony's governor, who suffers from painful gout. Outwardly resentful towards Arabella, yet silently appreciative for her efforts on his behalf, Blood develops an escape plan for himself and his fellow slaves. The plan is almost uncovered by the suspicious Colonel Bishop, who has one of Blood's men flogged and interrogated. Blood is spared a similar fate when a Spanish man-o-war attacks Port Royal. During the raid, Blood and his fellow slaves seize the Spanish ship from its drunken night watch, and sail away to begin lives of piracy. Blood and his men quickly achieve great fame among the brotherhood of buccaneers. When the old governor is unable to contain the pirate menace, Colonel Bishop is appointed governor. He sends Arabella to England on an extended holiday, but three years later she returns to the Caribbean. Her ship, also carrying royal emissary Lord Willoughby (Henry Stephenson), is captured by Blood's treacherous partner, the French buccaneer Captain Levasseur (Basil Rathbone), who plans to hold them for ransom. Blood forces Levasseur to sell them to him, while relishing the opportunity to turn the tables on Arabella. When Levasseur vehemently objects, Blood is forced to kill him in a duel. Blood offers Arabella valuable jewelry from his conquests as a sign of his love for her. Ungrateful for her "rescue", Arabella is indignant at having been purchased by Blood, and calls him thief and pirate. Although angered by her rejection, he orders his men to set sail for Port Royal where he will deliver Arabella and Lord Willoughby, despite the danger to himself and his crew. As they approach Port Royal, they sight two French warships attacking the city; Bishop has left it undefended in his single-minded pursuit of Blood. With England now at war with France, Lord Willoughby pleads with Blood to save the colony, but the captain and his crew refuse to fight for the corrupt king. Willoughby reveals that James II has been deposed in the Glorious Revolution; England's new king, William III, has sent Willoughby to offer Blood and his men full pardons and commissions in the Royal Navy. This startling news quickly changes the pirates' minds, and they prepare for battle with the French. After ferrying Arabella ashore, Blood and his men approach Port Royal flying French colors, but soon that ensign is replaced with the British Union Jack. A pitched ship-to-ship battle ensues, leading to frenzied hand-to-hand deck combat. Blood and his men defeat the French frigates, saving the colony, but not before losing their ship in the battle. As a reward, Blood is appointed the new governor of Port Royal by Lord Willoughby and has the pleasure of dealing with his hostile predecessor, now returned from his pirate hunt and under arrest for dereliction of duty in a time of war. As Arabella playfully pleads with the new governor to spare her uncle's life, Peter Blood reveals his face to the astonished Colonel. With a sly smile of triumph, he greets Bishop with, "Good morning, Uncle", having won the hand and heart of Arabella. Warner Bros. were inspired to remake the film, which they had first made as a silent in 1923, after the popularity of Treasure Island (1934) and The Count of Monte Cristo (1934) revived the swashbuckler genre in Hollywood. Some of the impressive sea-battle footage was taken from the silent The Sea Hawk (1924). Captain Blood received positive reviews and was a success at the box office. The film received Academy Award nominations for Best Picture, Best Director, Best Writing, and Best Sound Editing. Captain Blood features a stirring and romantic musical score, the first of its type for a sound film, by Austrian composer Erich Wolfgang Korngold. In 1935 Warner Bros. asked Korngold if he was interested in writing an original dramatic score for Captain Blood. He at first declined, feeling that a story about pirates was outside his range of interest. However, after watching the filming, with a dynamic new star, Errol Flynn in a heroic role, alongside Olivia de Havilland, who had her debut in A Midsummer Night's Dream, he changed his mind. The production budget for the film was $1,242,000. The lead role was originally offered to Robert Donat, who had starred in the successful 1934 film The Count of Monte Cristo. The asthmatic Donat turned down the role, concerned that the action sequences would be too strenuous for him. A series of screen tests with various actors led to an unknown Australian actor named Errol Flynn. In January 1935, Warner Bros. signed the young actor and brought him to Hollywood after seeing him in a British B picture Murder at Monte Carlo. For the female lead role, Jean Muir was originally picked to play opposite Donat, but after the actor turned down the offer, the studio focused on 19-year-old Olivia de Havilland, who had starred in three previous films that same year, including A Midsummer Night's Dream for director Max Reinhardt. Most of the film was shot on a sound stage in the summer of 1935. 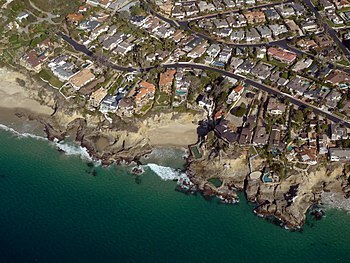 Some exterior scenes, such as the sword fight between Rathbone and Flynn, were shot on location at Laguna Beach, California standing in for a Caribbean shore (specifically, the fictional island of Virgen Magra, which translates from Spanish as "lean [as in meat] virgin"). The final battle sequence between Blood's pirate crew and the French ships used one of the largest technical crews assembled for a film, requiring 2500 extras. For sea-battle footage, Curtiz used a combination of process shots, miniatures, and footage taken from The Sea Hawk (1924). During filming Flynn collapsed from a bout of malaria, which he had first contracted in New Guinea. The film was a big hit making Warner Bros a profit of $1.462 million. According to Warner Bros it earned $1,087,000 domestically and $1,388,000 foreign. 'Blood' is a spectacular cinematic entry, which, while not flawless, is quite compelling. Its sundry little discrepancies, however, count against a more satisfying final tally. The inconsistencies, while not frequent, are rather prominent and at times irritating. As, for instance, the climatic sea battle of the lone pirate ship (Blood's), now a volunteer in the cause of England, against the two French vessels. One French frigate stands idly by until Blood's corsair conquers one and then directs his attack on the other. The finale with the discomfited governor, in whose place Blood is appointed, is rather tent-twent-thirt [excessively melodramatic]. And underlying it all, as a productionary shortcoming, is the false premise of the titular Capt. Blood. Here is a gallant, engaging young blade who, under pirate's colors, repels the very aspects which first cement his brave appeal. 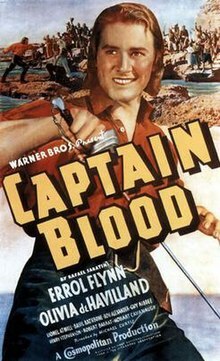 Despite finding some flaws in the "scripting" of Captain Blood and in the presentation of some battle sequencies in the film, Variety called Flynn's performance "impressive" and predicted that his work in the production would provide the young actor with "future big marquee values". Writing for The Spectator in 1936, Graham Greene gave the film a tepid review, describing it on the one hand as his favorite of the films he reviewed that week, but describing it as "a fine spirited mix-up" and making pointed note of the "magnificently wrong characterization" of bad King James. Greene also pointed out that much of the film included anachronistic details related to clothing and setting. The film was nominated for the Academy Award for Best Picture and, despite not being nominated, Michael Curtiz received the second-greatest number of votes for Best Director, solely as a write-in candidate. Erich Wolfgang Korngold and Casey Robinson also failed to be nominated and also received substantially more write-in votes for their work on this film than most of the official nominees. The film was also nominated in the categories Music (Scoring), Sound Recording (Nathan Levinson) and Writing (Screenplay). Captain Blood was adapted as a radio play on the February 22, 1937, broadcast of Lux Radio Theater with Flynn, de Havilland, and Rathbone all reprising their film parts. This radio version is included in the Special Features of the DVD version compiled in 2005. ^ a b c d "Captain Blood (1935)". Turner Classic Movies. Retrieved March 3, 2013. ^ Janiss Garza. "Captain Blood (1924) - David Smith - Synopsis, Characteristics, Moods, Themes and Related - AllMovie". AllMovie. Retrieved April 19, 2016. ^ a b Schager, Nick (April 20, 2005). "Captain Blood". Slant Magazine. Retrieved March 3, 2013. ^ a b Thomas 1983, pp. 71–72. ^ a b "The 8th Academy Awards (1936) Nominees and Winners". The Academy of Motion Picture Arts and Sciences. Retrieved August 7, 2011. ^ a b c Thomas 1983, p. 67. ^ "Captain Blood Notes". Turner Classic Movies. Retrieved March 3, 2013. ^ a b "CAPTAIN BLOOD", film review, Variety, New York, N.Y., January 1, 1936, page 44; retrieved December 22, 2017. The compound adjective "tent-twent-thirt" in Variety's review derives from theatrical slang for "ten-twenty-thirty", which was once used to describe the early vaudevillian shows and other staged productions that were distinguished by their cheap admission prices (ten, twenty, or thirty cents) and by their highly melodramatic storylines or by characters displaying exaggerated emotions and actions. ^ "AFI's 100 Years of Film Scores Nominees" (PDF). Retrieved August 20, 2016. ^ "Those Were The Days". Nostalgia Digest. 39 (2): 32-39. Spring 2013. Wikimedia Commons has media related to Captain Blood (1935 film).